Always striving to give good value with quality products and excellent customer service, we currently have Amitco ‘Penta’ grey flooring on special offer. Take advantage of £10 off per sqm but contact us as soon as possible as this offer is only on whilst stocks last! As the only accredited Amtico suppliers in Aberdare, you know you can trust Carpet Fit Wales to provide you with exactly what you’ve ordered, fitted to the highest of standards and all with a smile! We can’t agree more with Amtico in that #everyspaceisdifferent which is why we always listen to what you want and understand your floor needs to cope with your daily lives! 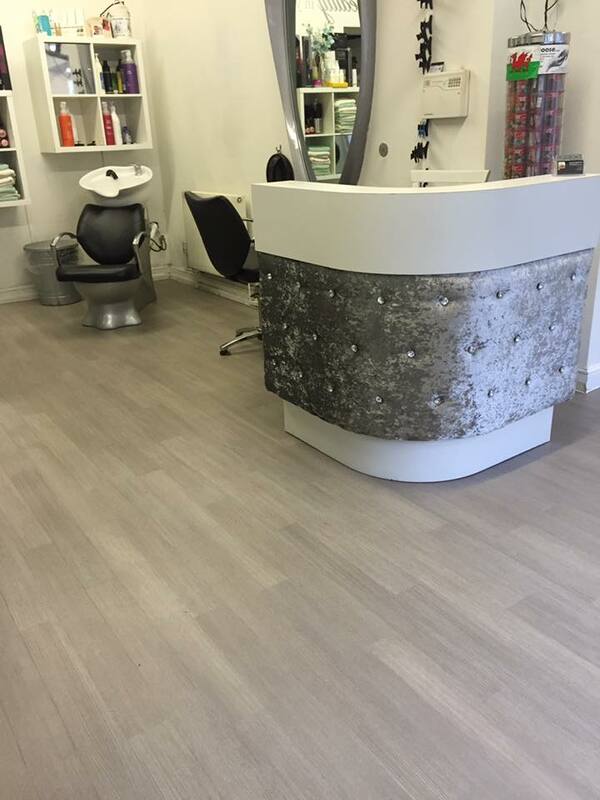 With its wood-like appearance, this grey featured flooring will give your room an inviting, modern feel – but don’t just take our word for it, see how we recently transformed this customer’s hair salon! Also, this amazing durable flooring comes with a 25 year guarantee and is crafted in the UK.